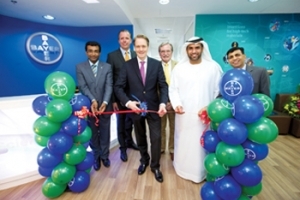 Bayer MaterialScience, a world leading manufacturer of high-tech polymer materials, has inaugurated its new coatings, adhesives and specialties laboratory on DuBiotech’s premises in Dubai. This application and development lab will offer local customised technical support to the industry across the Middle East and Africa. Sabic’s CEO and vice chairman has called for a unified approach for the development and diversification of the Saudi downstream sector, citing the success of the petrochemical model. Mohamed Al Mady suggested a national taskforce should be set up to lead the downstream initiative rather than having several companies doing their own thing. Victrex Polymer Solutions, a unit of British-based Victrex that produces high-performance polymers, showcased at a Paris event – JEC Europe Composites – its Peek polymer to address the key interests of the oil and gas, and aircraft and automotive industries. 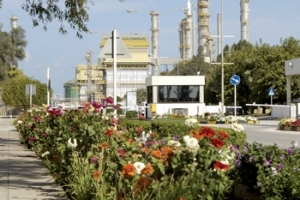 BAHRAIN-based Gulf Petrochemical Industries Company (GPIC) has announced it has received a certificate from the International Fertiliser Association (IFA) for protection and sustainability.